The Runaway Pony - The Works of Joe Campolo Jr.
We have a small mobile home on Lake Puckaway in Central Wisconsin. Puckaway is a very shallow lake, which is fed by the Fox River. 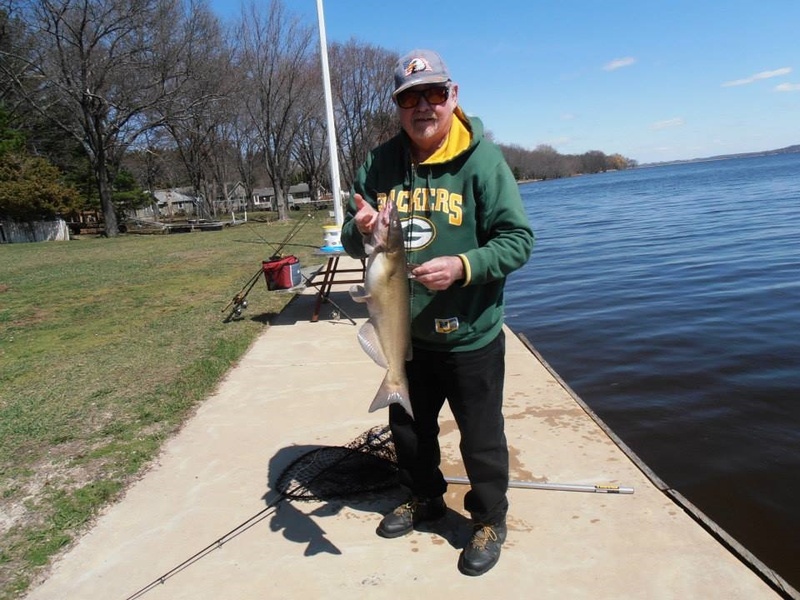 It is a very diverse fishery and we have caught many nice fish there over the years. At Puckaway, I often fish with our neighbor Art. 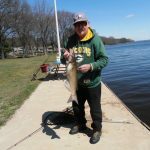 Art and I have spent many a fine day fishing Puckaway, the Fox River, The Grand River Marsh, and many other bodies of water in the area. Art and I have had several “adventures” during these outings. One adventure involved an Amish horse while we were fishing near the dam in the Grand River Marsh, which is just south of Lake Puckaway. On that particular day we went over mid-morning and parked along the small gravel road near the dam. As there is a large Amish community on that side of the lake it was not unusual that several horse and carriages were already there, tethered in various spots along the marsh pond and river. The Amish anglers were all fishing along the banks, or trying their luck out in their canoes and row boats. 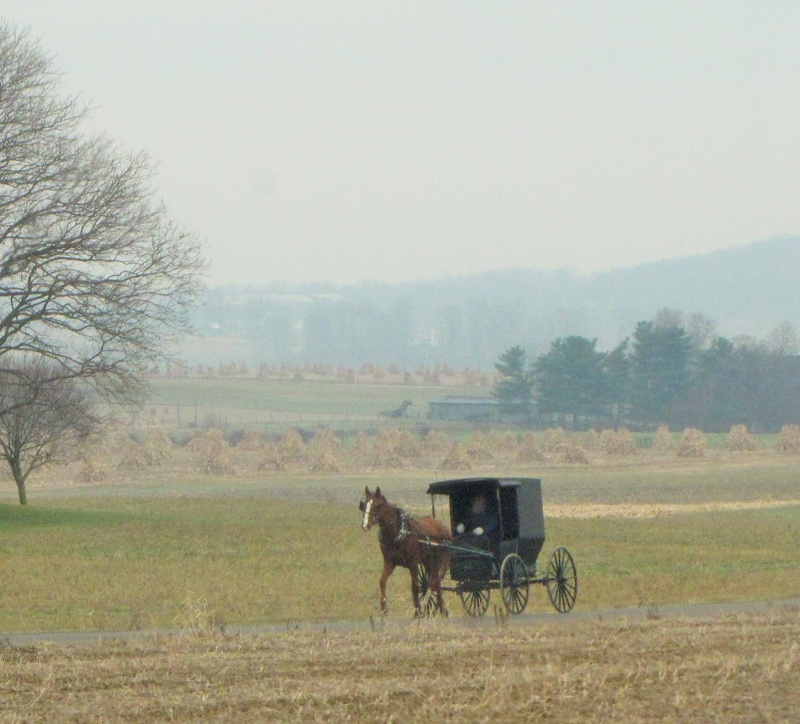 I always admired how the Amish would take care to make sure their horses were hitched out of the direct sun, and had a good watering before they were tethered; but on this day one of their hitching spots was poorly chosen. On the far end of the small gravel parking lot there was a small metal sign mounted on a steel post sunk into the ground. One horse, unhitched from its carriage, had been tethered to the sign, while the owner fished the pond in a small row boat. No doubt, the horse had been in the shade when first tethered, however after an hour or two the sun rose directly over the horse. And the animal, now uncomfortable was becoming more and more agitated. The horse’s agitation caught my eye and just as I warned Art that something was going to happen the animal ripped the sign out of the ground, turned down the narrow gravel road and ran out at full gallop, directly towards us! 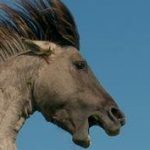 There were several vehicles parked on each side of the narrow gravel road, and as the horse ran, the metal sign it was still tethered to swung wildly back and forth like a scythe cutting through a wheat field. The sign struck several of the cars as the panicked horse, eyes wild, raced on through. I yelled a warning to Art who managed to jump back into the car through his open door just in time to escape getting trampled. At the same time, I jumped onto the trunk of his car which I then rolled off and down the bank, escaping injury myself. The horse continued running about three quarters of a mile before it finally stopped as the sign it was still dragging became tangled in some heavy brush near the road. A woman on hand, experienced with horses, went and tended to the distraught animal until it calmed down and its owner returned. The damage to Art’s car was minor, however some of the other vehicle owners were not so lucky as the sign gauged dents and deep scratches in their vehicles. 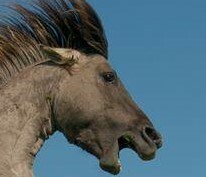 Of the many adventures I’ve had while fishing, nearly getting trampled by a runaway horse with a metal sign swinging from side to side is one of the strangest.